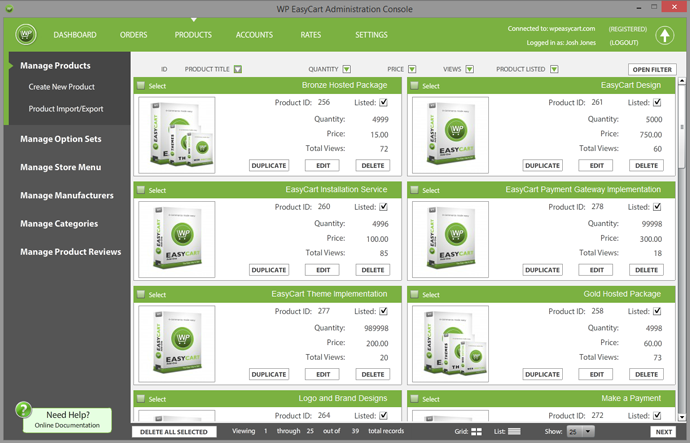 The folks at Sell with WP have created a really nice objective review of the WP EasyCart software and eCommerce system. The article is an in depth analysis of the entire installation process, major features, and pros and cons to the new software. One aspect we really enjoyed about the article was the refreshing way they covered a large plugin like EasyCart in-depth. Many reviews are very short and often compare apples to oranges, while this review actually compares it’s features with the way it is constructed in an overall sense. For anyone who is new to eCommerce and plugins, this is a great walk-through on how to get the EasyCart setup, installed and configured, and what steps you should likely do in chronological order for a fast setup time. While the folks at Sell with WP do work for a competing eCommerce platform, we felt they were still fairly objective in their review and show the strengths and weaknesses of the software. For more information and to read the full review, simply click on the logo above, or Click Here. Well 2013 has come and gone and 2014 is rolling along quickly. Many WordPress users are looking forward to the new year as we continue to pull a country out of a recession, put new innovations on the shelves, and pushing their online content to the masses. We are here to tell you the future looks good, and we are optimistic with the path we are taking with our technology on the long term outlook. WordPress has always been a major blogging platform, but has recently taken hold as a great website development tool. Easy themes, easy plugins, lots of features, but more importantly an easy to use platform all together has developed it into much more than a simple blog tool. 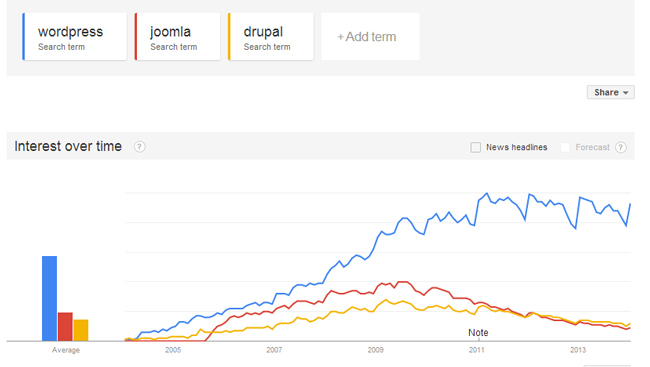 Compared to joomla and drupal, the leading competitors, it looks like WordPress is pulling favorably ahead in popularity and usefulness. Good news for many of us who have used WordPress as our platform of choice, and for our piece of mind as we all continually look for the best CMS software we can. WP EasyCart looks to leverage this base as well. We are seeing increased trends in theme development and plugin development for WordPress, all supporting the increase in this popular platform. I will go out on a limb and throw out a few predictions for 2014. 1. 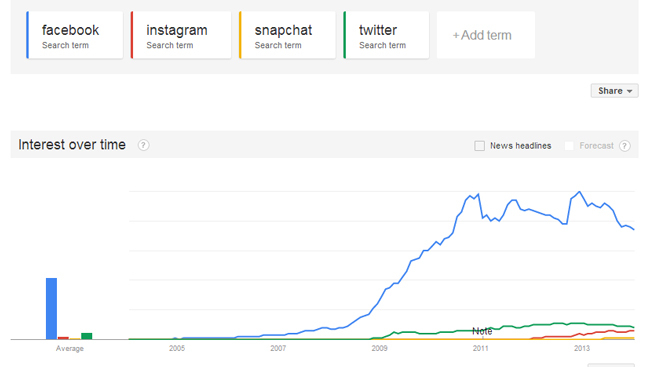 WordPress will continue to develop quickly, and gain more market share compared to it’s counterpart CMS systems. 2. Theme spaces such as Theme Forest will grow in size as designers begin to leverage the growth of user base in WordPress and the theme architecture it provides. 3. More users will begin to capitalize on their websites and leverage plugins such as EasyCart to add e-commerce to their simple websites and blogs. 4. Social Media has plateaued, Facebook, Twitter, and other programs may become less relevant as people bring on entire websites that present themselves, their businesses, and their image. 6. I also feel online security will continue to increase, retailers and site owners will have more regulations and strict security standards that we must adhere to to ensure we have safe online e-commerce. In WordPress, limit those unknown small 3rd party plugins and use SSL certificates to secure traffic. Do you have a prediction for 2014? 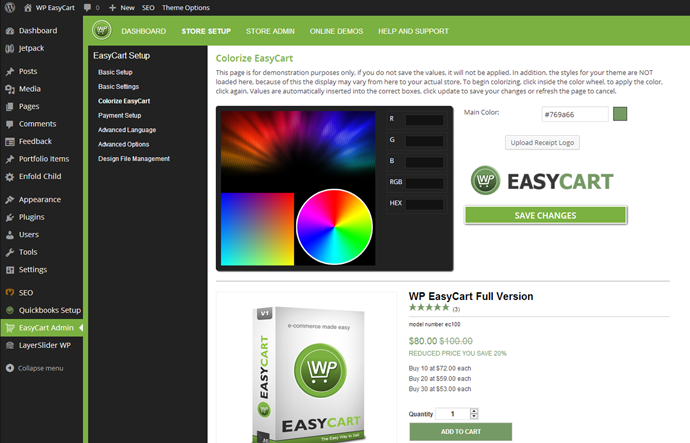 WP EasyCart gets version 2 released! With the new year, we are happy to release version 2 that has a huge list of improvements in both usability and in stability and features. We have been listening hard to each and every customer and putting in new features that many of you have been asking for. In version 2, we replaced the entire administrative area with a new make-over that will help improve setup and usability as you manage your shopping cart. Now you can view current orders right from WordPress with our new dashboard, or check the store status against a variety of checks to quickly diagnose a problem. We have a new colorizer that is a one click stop to change the entire skin of your store. Version 2 also includes better payment gateway setup and design file management. Version 2 also includes a complete redesign of the administrative console software to make it easier to add new options, products, and settings. The WordPress admin plugin, desktop applications, iPad, and android software were all updated with a vastly better user interface to help you get products in quicker and manage orders smoother. 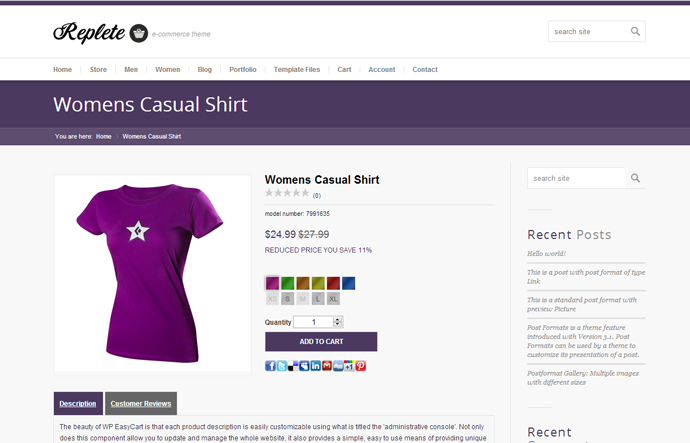 With the latest version, we now have an advanced option system that allows you to have unlimited options to a product. Not only that, but you can now add check box systems, radio groups, file uploads, text input, text area, combo boxes, image swatches, or price changing grids to a product. This provides virtually unlimited ability to customize a product and have customers the ability to add attributes to a product. All of our current templates have been upgraded to the latest version and feature list, plus we went a step further and added some new themes. One of our latest great themes is the ‘Replete’ theme by kriesi.at. This new theme is available at theme forest, and our store can be purchased with a completely matching theme to integrate for a uniform look. For a full list of our demos and themes, be sure to check out our demos section and view our feature list. admin http://blog.wpeasycart.com/wp-content/uploads/2018/01/easycart-logo-1-11-2018.png admin2014-01-22 16:50:302016-09-30 15:42:03WP EasyCart gets version 2 released!